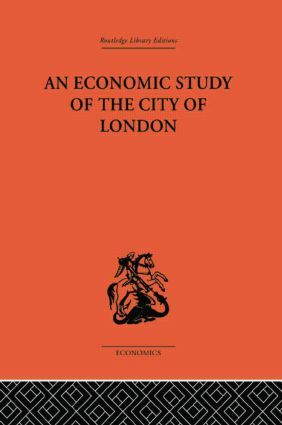 This was the first comprehensive study of the City of London to be published. The study examines the economic structure of the city and considers the main influences likely to affect the development of the City, including the pattern of demand, technological change, population movements, supply of labour and land values. Particular attention is paid to the City's international role. Specific chapters are devoted to Banking & Finance, Insurance, Trade, Commerce and the Port, and the Manufacturing Industry. The book is supported with a wealth of statistical material based on original research and contains 116 tables and 28 diagrams.